The Great Global Greyhound Walk 2019 Victoria Park Walk takes place on Sunday 10th June with more details to be released soon. The Great Global Greyhound Walk 2019 Victoria ParkWalk is for greyhounds, sighthounds and other breeds from a greyhound family. Find more details of the Great Global Greyhound Walk 2019 Victoria Park London Walk here. What is the Great Global Greyhound Walk 2019? The Great Global Greyhound Walk is an annual dog-walking event that aims to raise the profile of rescued and retired (ex-racing) greyhounds, showing the world what beautiful companions these dogs make. This year’s walk is Sunday 9th June 2018. The event primarily involves hundreds of organised “walks”, not just in the UK but right across the globe, that all take place on the same day. All walks are free to attend and are open to everybody, whether they are a sighthound owner or not. The Great British Greyhound Walk started in 2009. Beginning as a seed of an idea, it has taken place annually on the 3rd Sunday of June with the attendance growing from 1624 sighthounds attending 23 walks in 2010 to 4605 sighthounds attending 146 walks in 2015! In 2014 and 2015 we went ‘global’, inviting international sighthounds to walk as well and the response has been amazing – 38 extra walks worldwide, with 863 sighthounds attending. The figures spoke for themselves, we were no longer just a ‘British’ event and so 2016 saw it evolve into the ‘Great Global Greyhound Walk‘. 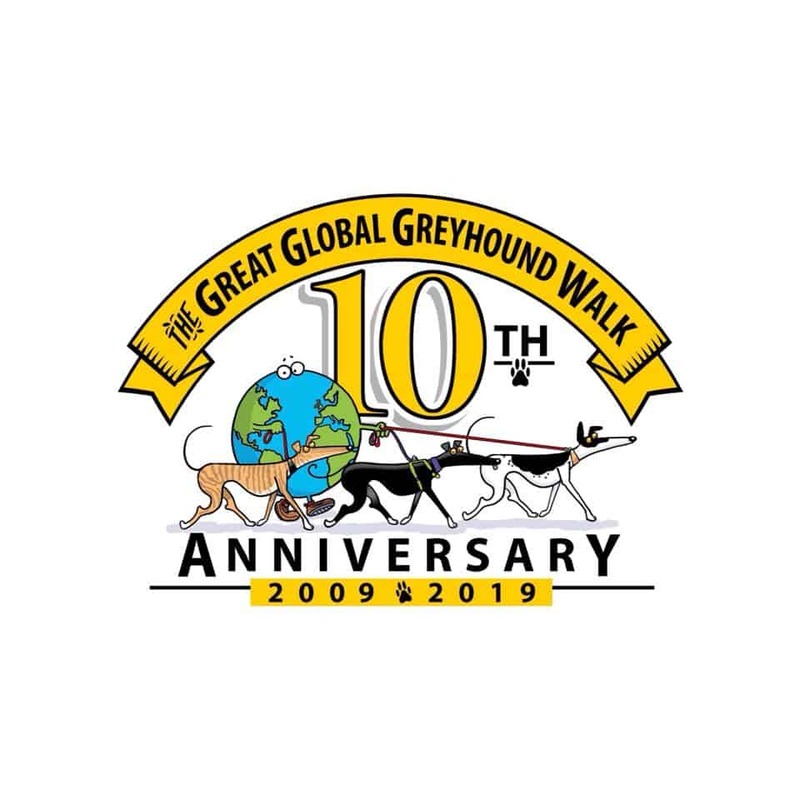 This year is the Great Global Greyhound Walk 10th Anniversary! I’ll be there with my hound!